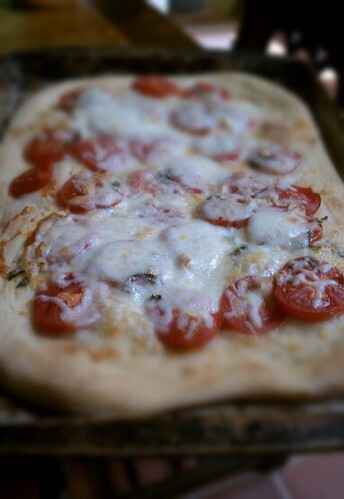 I made a pizza today and it looked so good I had to take a picture! After the photo shoot, I tried to cut a slice and realized I had forgotten to grease the pan. gah! I will say that the bits I could chip away from the damn pan were delicious. Looks delish. Corn meal works wonders to keep the crust from sticking. Hmmm, maybe you should’ve done that with the oatmeal you made….